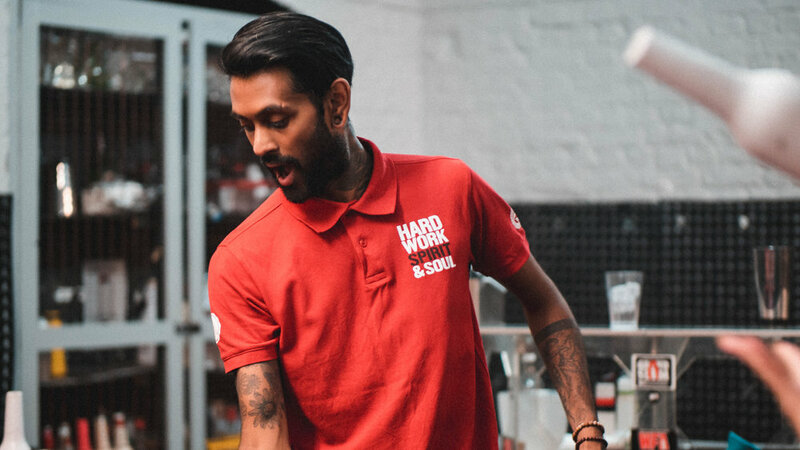 This past summer we were contacted by the European Bartender School of London to do some advertisement work for their school, which has locations worldwide. The job included actually taking their one night mini-course, so that we could really get the full effect of what EBS is all about. Because we’ve been bit by the travel bug, which is a terminal illness, we were all over this opportunity. Immediately upon our arrival in London (well, after customs, airport shuttles, ubers, and a quick shower), we were off to meet the bartenders who would be hosting us for the evening. We were welcomed with the absolute warmest reception imaginable and really hit it off with everyone involved in the project. We spent a couple of hours at the school, where learned how to make a proper cocktail. 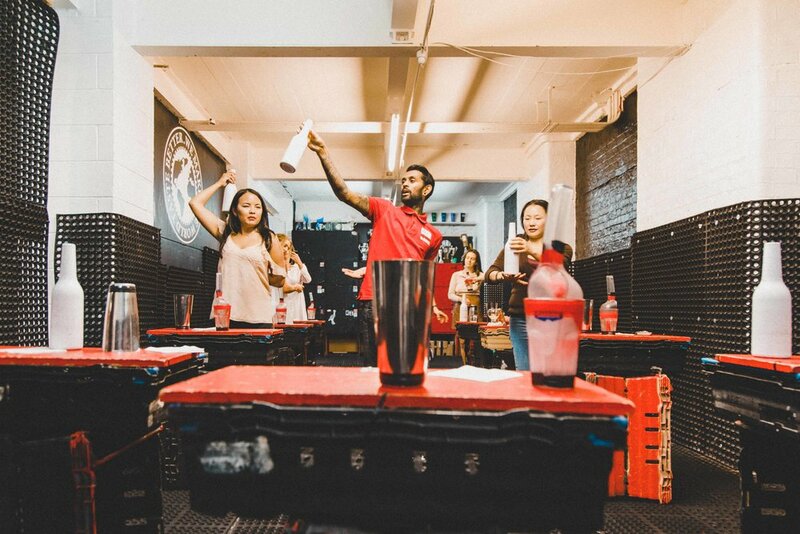 We also tried our hand at bartending “flair”, which is basically just really cool tricks that only really experienced bartenders do with their equipment (we weren’t very good at that part). 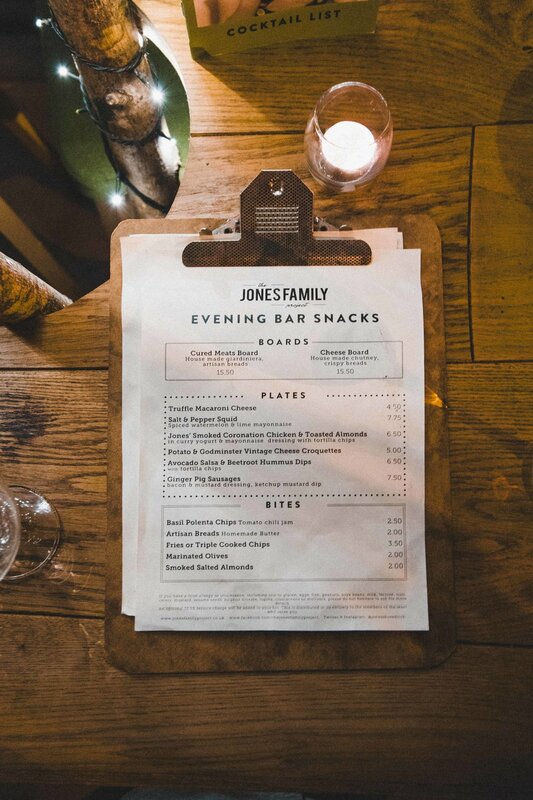 After the course concluded, the entire group headed off to dinner at The Jones Family Project, a restaurant and bar located in northern London. The cozy atmosphere of this place made for the perfect setting to really get to know the others in our group, who had traveled from all over the world to be there. We tried some unfamiliar English cuisine which, possibly due to the fact that we hadn’t eaten in over 12 hours, was absolutely delicious. Afterwards, we all headed off to our last stop: The Oriole Bar. The Oriole Bar is known for its clever cocktail creations (my drink was delivered in what looked like a genies lamp and someone else’s was filled with marshmallows?). Needless to say, it was a great way to end such an incredible and memorable day.